Featuring world-class magicians and illusionists, Branson, Missouri is home to some of the best magic shows in the world! For more than 50+ years, Branson has been entertaining visitors with the hundreds of LIVE shows that perform in more than 40+ theaters around town. Known by many as the “LIVE Entertainment Capital of the World,” this popular tourist town features hundreds of music shows, dozens of things to do and see, and some of the world’s best magic shows! Some of the biggest names in magic have performed on Branson’s stages over the years, including: David Copperfield, Kirby & Bambi VanBurch, Harry Blackstone Jr., Tom Mullica, Brett Daniels, Melinda, Steve Wyrick, Taylor Reed, Darren Romeo, Justin Flom, and dozens more. Not only has the town become famous for its music, it has also become one of the best places in the country to see some of the best magicians and illusionists of all time! With no two acts alike, visitors can see everything from full-scale, large stage illusions to sleight of hand – to birds, animals! Branson is home to some of the best magicians and magic shows to be seen anywhere! Whether you’re looking for a Vegas-style production, huge illusions, variety, or a more intimate magical performance – there are plenty of shows to choose from no matter what time of year you’re visiting! Rick Thomas brings his incredible Vegas-style (but still family-friendly) show to Branson. Direct from Las Vegas, master showman and magician Rick Thomas brings his incredible magic to the stage for a truly unforgettable and unbelievable production! For many years Rick was the featured show at the Tropicana Hotel in Las Vegas, a headlining performer whose famous tigers and exotic animals made him one of the most popular acts in the city! His sold out shows on Broadway, the famous Sydney Opera House, and worldwide tour have made Thomas one of the most popular and successful magicians of our time. 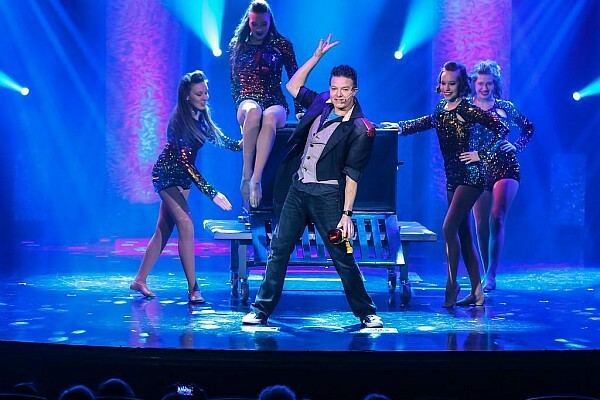 Bringing his incredible talent and illusions to Branson, Rick brings a Vegas-style (yet family-friendly) magic show to life throughout the year. While no longer featuring his famous tigers, his all-new act includes beautiful animals, unbelievable illusions, and showcases the talent of one of Branson’s finest perfomers – an entertainer with unrivaled showmanship! For decades, Dave and Denise Hamner have been performing in front of the millions of people that visit Branson each year! They have shared the stage with some of the biggest names and acts to perform in the popular tourist town – acting as featured stars and in their very own shows! World-renown for their famous exotic bird magic, the duo has received some of the industry’s highest honors – including the coveted Merlin Award and recognition from Siegfried & Roy with their prestigious Bronze Lion’s Head Award for their contributions to the art and excellence in entertainment. For ten years they performed alongside the famous comedian and ventriloquist Jim Barber as one half of the Hamner Barber Variety show, becoming one of the top family shows in Branson and earning the admiration of thousands who watched them perform! 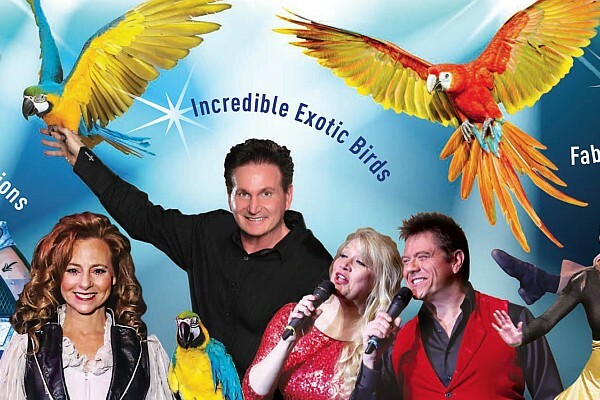 Now, the Hamners star and produce in their own show once again with their Hamners’ Variety Show – which not only showcases the duo’s famous magic tricks and famous exotic bird act, but the talents and skills of some of Branson’s most incredible performers! Their new variety show features incredible singing, unbelievable magic and illusions, and amazing feats of dexterity, strength, and agility in the area’s only true variety show! Called the “World’s Top Touring Illusionist” by the Denver Post, world-famous illusionist Reza has taken the Branson show scene by storm! You may have seen his special TV appearances on “Duck Dynasty” alongside Penn & Teller, or on one of his many other guest appearances or world tours – and now you have the chance to see his all-new show as he presents a new magical production this year! Considered one of the best up-and-coming magicians of our time, his “Edge of Illusion” tour sold out venues, theatres, and concert halls around the world! 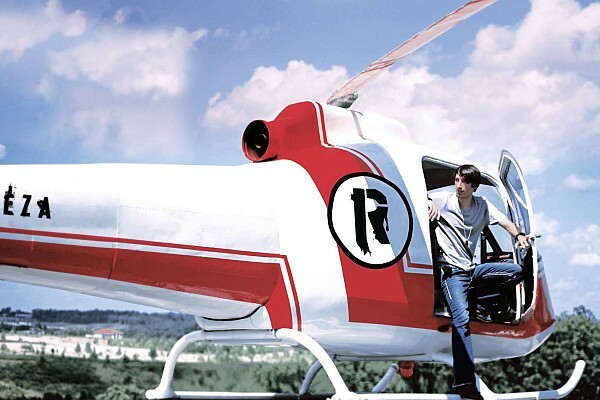 Combining comedy, magic, and entertainment into one incredible show – magician Taylor Reed has been a longtime fan favorite of Branson visitors. His unique show brings a combination of large stage illusions, up-close sleight of hand tricks, and hilarious comedy bits into one show that has been created for audiences of all ages! Performing throughout the year, Taylor’s magic has created fans from around the world who return to see him perform each new season. Both Showboat Branson Belle and Silver Dollar City frequently feature magic as a part of their entertainment lineup. In addition to the performers that we’ve already listed, there are a number of shows that feature magicians as a part of their show or as a special feature of an event or festival. 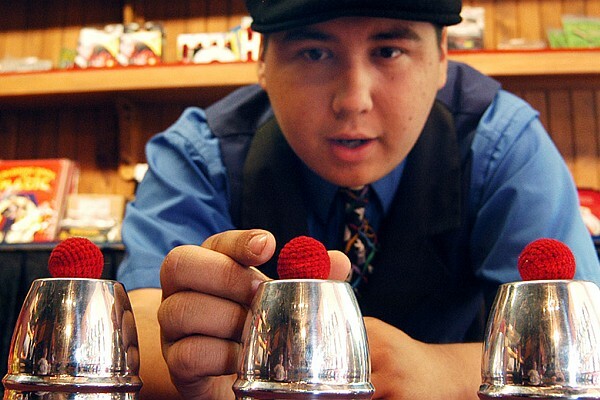 Silver Dollar City’s festivals frequently feature special magicians for their (like comedian and performer Chris Stanley, magician Brad Ross, and illusionist Vitaly Beckman) and is also home to a magic shop on-site at the park – while the Showboat Branson Belle’s main performance does include some magic in their variety show. See The Best Magic Shows in Branson! With performances and show times throughout the year, these shows feature some of the most incredible entertainment performed by some of the world’s best magicians and illusionists! Whether you’re visiting with family, friends, or a group – they offer something fun that is sure to entertain audiences of all ages!